4 Bedroom Detached House For Sale in Peterborough for Asking Price £350,000. Beautifully presented family home with stunning characteristics throughout, walking distance from local amenities. This spacious detached home briefly comprises: a porch, entrance hall, family room, shower room, open plan kitchen/diner leading through to the 22ft conservatory creating plenty of light and a fantastic social area. To the first floor is a recently fitted shower room, four great size double bedrooms, two of which have updated en-suites. 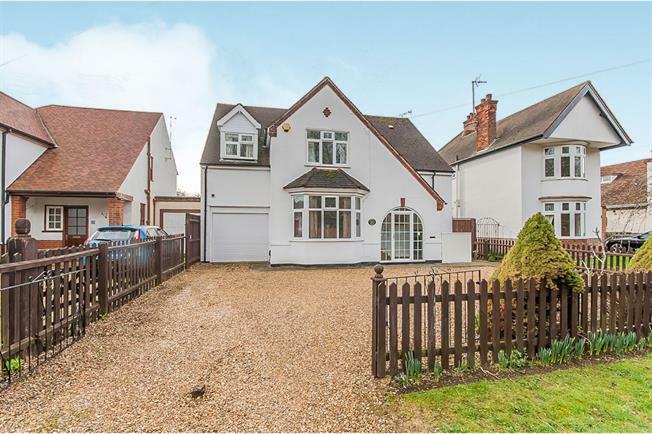 The property further benefits from a gorgeous landscaped rear garden, mainly laid to lawn with trees and shrubs, alongside a driveway for ample cars to the front.